For many years sports fans have always loaded either their couches, visited their favorite sports bars, or even attended this event that has been played since 1939. Many of the greatest players in the history of basketball has participated in this tournament and many of them have joined been a part of a team that has been crowned National Champions from Michael Jordan to Lisa Leslie. Also named the ultimate play-offs for collegiate basketball mens and womens but know to many as March Madness. 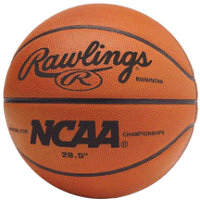 March Madness is the college basketball tournament of all tournaments, where 64 teams compete to where the name known to many schools as National Champions. Brackets are determined by team’s ranking and teams that have have reached their conference’s tournament final. The NCAA hsa three divisions of mens basketball, therefore March Madness is going on in all three divisions, but Division I is the division that has driven many sports fans either to the game or a venue where they can watch the games. The tournament starts off with 64 of the top teams in the country that compete in selected areas in the country for the first two rounds. As soon as there are 16 teams left these teams move on to the regionals which is also know as the “Sweet 16”. These regional games are set into four regions East region, West Region, South Region, and Midwest Region. These 4 regions are locations where games will take place. After the first round of regionals are played teams move on to the “Elite 8” which is also the quarterfinals of this 64 team tournament. The winners of each region move on to the most hyped part of the tournament “The Final Four” which is played at an exclusive venue usually a sports dome or somewhere that can accomodate the large crowd of sports fans from around the world. The Final Four is every teams goal, so that they can have a chance to compete in the Final Four. The Final Four is known around the world as the game of all games in collegiate basketball. The Final Four hosts many other events such as the NCAA All Star Game, many challenges for fans to participate in as well as watch the Final Four teams practice for FREE. Final Four week also hosts an event known as the Big Dance, which is a list of events throughout duration of “The Final Four” that is a celebration of the games as well as appreciation for its fans. The last team in the Final Four that is standing is crowned 2009 NCAA National Champion, which will be placed in NCAA record books forever.